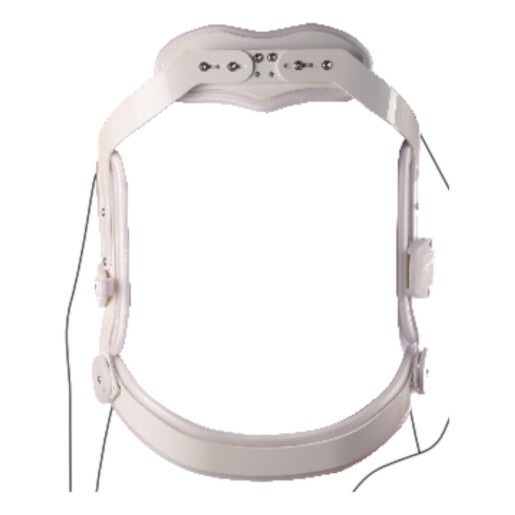 The Cybertech Hyperextension Orthosis Support by Ottobock is a hyperextension back brace with a three-point pressure system to assist with spinal posture to prevent a person from bending forward. It stabilizes the upper thoracic and lower lumbar spine. Individuals dealing with compression fractures in the thoracic spine or who have metabolic bone disease osteoporosis can benefit from using this support. The spring-loaded pelvic band is hinged to allow for easy transition from sitting to standing. There are a variety of sizes to get more of a custom fit. The simple slide adjustments and thumb loop make for easy donning and individualized fitting as well. Individuals with metabolic bone disease known as osteoporosis. Individuals with unwanted spinal flexion of the lumbar and thoracic spine. Individuals with compression fractures in thoracic spine.